Wall Street prefers traditional financial advisors that meet with you face-to-face. This method of contact maximizes the impact of advisor sales and relationship skills. What happens when the financial advisor is a website (Robo) and there is no salesman or sales department? The online financial advisors website has to sell its services. Consequently, they spend a lot of money on clever graphics, fresh content, free offers, and other marketing tactics to convince you to buy what they are selling. Can you trust the information on Robo advisory websites? Do they provide complete, accurate information? Do they manipulate information to look better than they really are? Paladin created a transparency index that measures the quantity and quality of information that appears on these websites. It is important to know there is no mandatory disclosure in the financial services industry. It is your responsibility to ask the right questions so you obtain the information you need to make the right decisions. It also pays to know good answers from bad ones. Robo advisors may not provide a human contact to answer your questions. Instead, they provide information on their websites that describe their services, expenses, staff, and processes. There is a good chance that most of this information is accurate. However, some Robos, in particular newer ones, obscure information to look more successful than they really are. What they tell you and don’t tell you varies by site. There is a much bigger risk that Robos will omit information versus misrepresent information. Omission is much more difficult to identify. You don’t know what you don’t know. For example, a Robo does not disclose his number of clients or assets under management. He does not want you to have any information that could cause you to reject his online investment service. Transparency is an interesting concept. Unfortunately, very few financial advisors practice it. 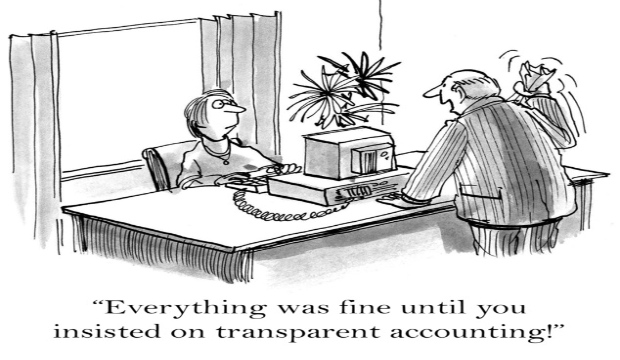 Transparency is the amount of information that a Robo advisor is willing to voluntarily disclose and document. The best online financial advisors volunteer comprehensive information because their websites are your only sources. What you see is what you get. The Robo websites do the selling so they can be loaded with features, benefits, free offers, and other marketing gimmicks. Some Robo sites are more gimmicky than others. We developed PTI to measure the amount of objective information that is provided to you by the Robo. Do they practice full disclosure? Do they withhold key information? Do they manipulate information to make them look more successful than they really are? Is there any misleading information on their website? A Robo receives a score of 5.0 for full transparency with no manipulation or omission. Very few received a 5.0 score. They could all be more transparent. A Robo may receive a score of 1.0 if there is a lot of missing information, conflicting information, or exaggerated claims. A few Robos received this score. The average score was 3.5. If you’d like to learn more about online financial advisors, Download our FREE ebook What is a Robo-Advisor?